When I was young, home brew was all the rage. My dad used to make a lethal concoction which he claimed was Elderflower Wine. My friends used to brew their own beer and wine too. One particularly inventive friend once made wine from coffee beans. No I’ve no idea how. On another occasion, my dad and I went sloe picking to make sloe gin. Unfortunately we decided to do this at dusk and found ourselves stuck in a hedge looking for pitch black sloes in the pitch black. Trust me, it’s not advisable – and my resulting potion tasted much like Calpol. (Don’t ask how I know that). 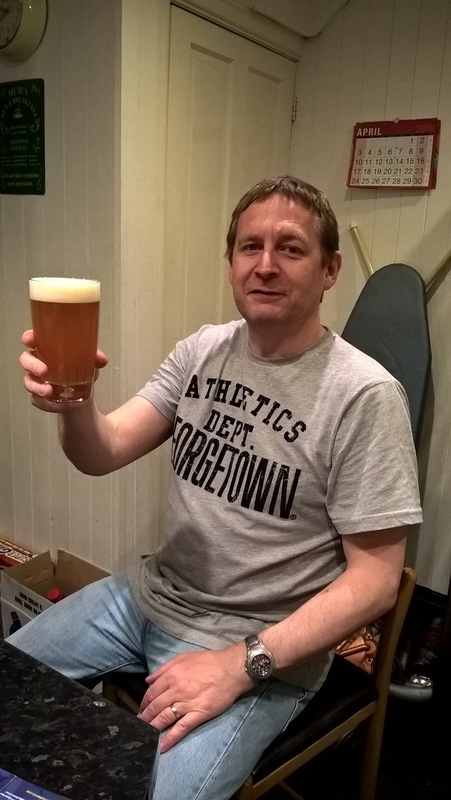 Anyway, beer, particularly craft beer and home brewing is enjoying a bit of a renaissance and Munich home brew specialists, Brewbarrel.co.uk, recently gave me the chance to test my own skills as a master brewer. I would say brewing mistress but it’s a tad too 50 Shades and it’s still far too cold for that kind of malarkey. 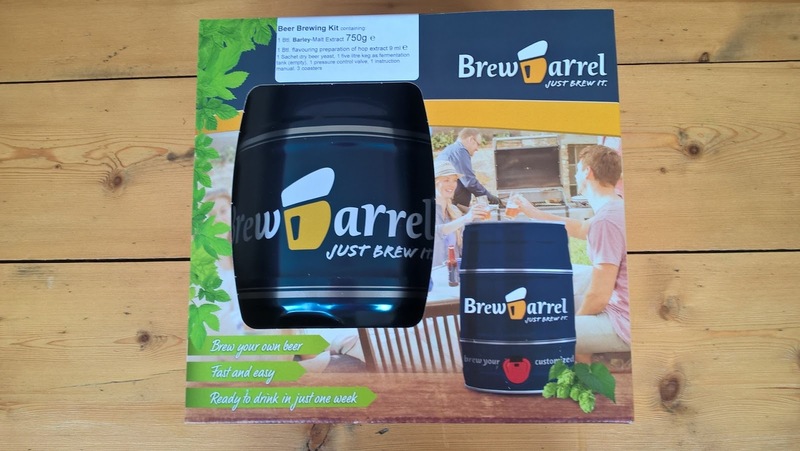 Brewbarrel have developed a home brewing system that is simple, quick and uncomplicated. The team have re-engineered the home brew process and come up with a way to produce home brew that is customised to your taste. First you choose the type of beer you would like to brew. We chose India Pale Ale. 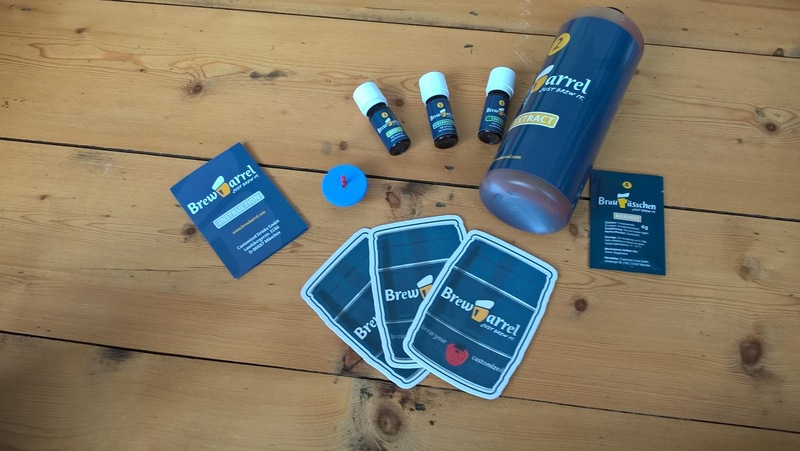 Your kit arrives neatly boxed with a brew barrel and a selection of ingredients. These are added to the barrel in a specific order as explained by the instruction leaflet. The only other ingredient you need to supply is tap water! I have to admit to being a bit daunted but if I managed it, anyone can. The basic process is this. Add the malt extract (in the large bottle in the picture) to the barrel. Add water – a mix of cold and boiling, according to the instructions. The only slight difficulty I had was getting the pressure valve into the top of the barrel. It does require a bit of forcing and the trick is to turn the valve as you put it in, rather than press it straight down. Ideally you will have room in your fridge to chill your beer. We had to take one of the shelves out but you could get away with putting the barrel in the garage or somewhere equally cool. When the beer is ready to drink you simply lift the red bolt of the pressure valve to release the pressure and there is a valve on the bottom of the barrel you tilt and turn to pour your beer. Your home brew will last for a few days in the fridge. Now the Husband believes I can ‘cook’. Just need to crack housework. 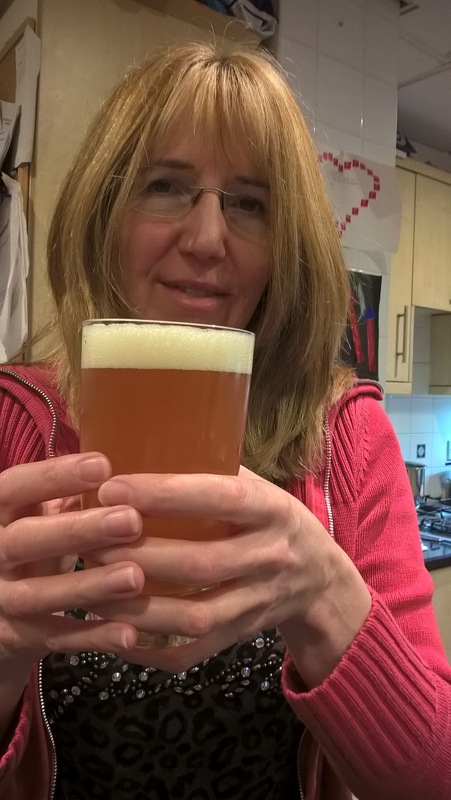 We were a little unsure of how the beer would taste – remembering my father’s own lethal home brews I was a bit dubious but the India Pale Ale, although a little cloudy, was really good with a nice depth of flavour and a ‘hop-y’ taste. I’m told the cloudiness is fine as it is a Bavarian style beer and it did not detract from the taste in the slightest. Am I clutching my beer a little too tightly? Two weeks school holidays can do that to a woman. 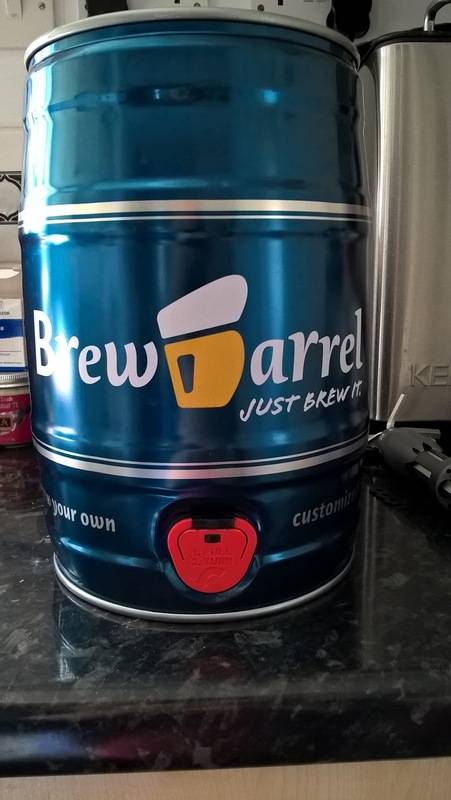 Brewbarrel beers are priced between £25 and £30 for a 5 litre keg (just over 8.5 pints if you haven’t managed to go metric like me). There are quite a few exotic choices too, such as Wheat Beer with Woodruff and Raspberry and there’s an Oktoberfest Beer and even a Christmas Beer. Would I do it again? 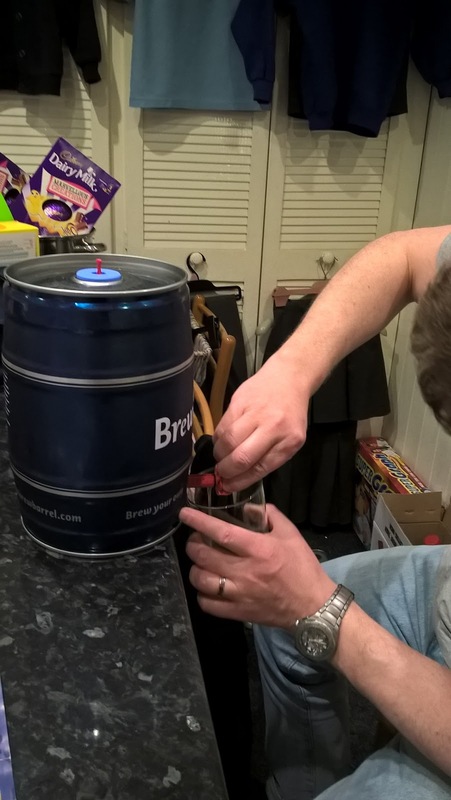 Yes I would – particularly for special occasions and I think a Brewbarrel would make a really nice gift for a home brew enthusiast. With Fathers’ Day not too far off (19th June), I think I might encourage my dad to give it a try. At least the pair of us won’t have to risk getting stuck in another hedge. I found making our India Pale Ale easy and good fun and I have a barrel of your choice to give away to 2 lucky winners. Simply enter via the Rafflecopter widget. UK entrants only. The usual terms and conditions apply and the giveaway finishes at 11:59 pm on Friday 13th May. Please note: you MUST be over 18 to enter and I don’t need to remind you to drink responsibly, do I?